All happy and excited to meet their Vietnamese fans once again, here are the girls of T-ara who greeted fans before their departure. Check out their V app broadcast below. 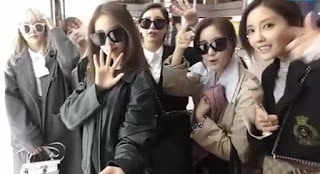 All the members of T-ara departed for Vietnam today to meet their fans.